“The narrative for 2019 elections is very simple: jobs for India’s youth,” Rahul Gandhi said. 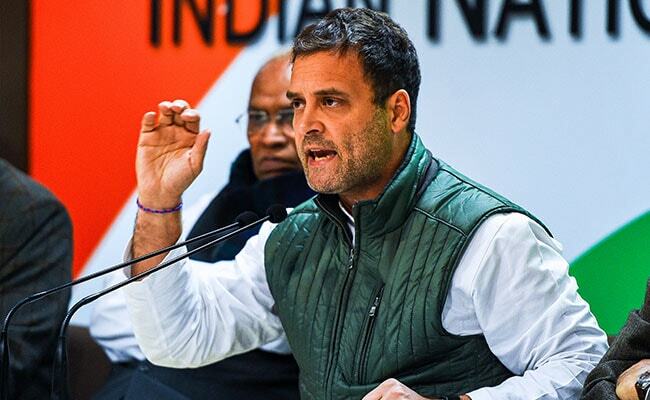 New Delhi: Congress President Rahul Gandhi said on Friday that the narrative for upcoming Lok Sabha elections will not revolve around the Ram temple but issues such as jobs, farmers’ problems and “corruption in the Rafale deal”. “The narrative for 2019 elections is very simple. Jobs for India’s youth. What will set the narrative is destruction of economy by (Prime Minister) Narendra Modi,” Rahul Gandhi said. “The third narrative is education and healthcare for the people. And the last is immense corruption done by Mr. Narendra Modi where he stole Rs. 30,000 crore from the nation in the Rafale deal and gave it to his friend,” he added. The Congress President’s remarks came in response to a question about whether the Ram Mandir issue will affect the upcoming general elections. “Let’s see what Supreme Court will do on Ram temple,” he said. Union Minister Smriti Irani, who visited Rahul Gandhi’s constituency Amethi on Friday, attacked him over his remarks. “Rahul Gandhi has made it clear today that he has no connection with Ram lalla, he has nothing to do with Mandir,” she said.